With the Axonify Microlearning Platform, you do more than train people. 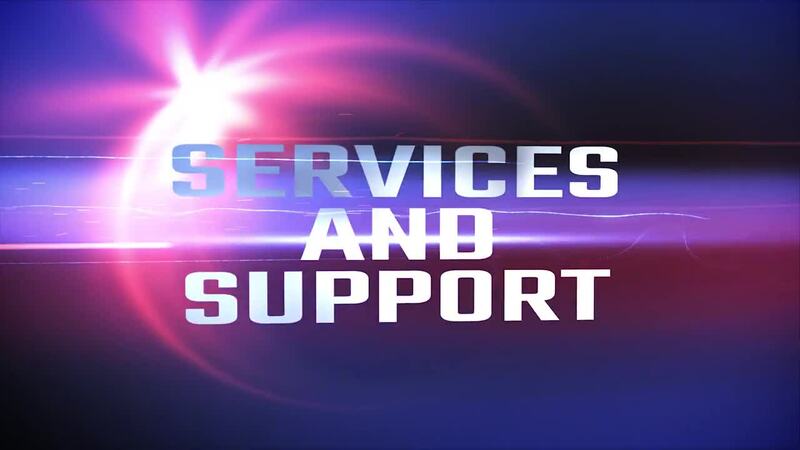 You drive performance by ingraining knowledge deep enough to change behavior. Powered by the world's most intelligent adaptive learning engine, in only minutes a day, your employees log-in for a quick, personal training session that continuously reinforces critical knowledge they need to know to perform on-the-job. 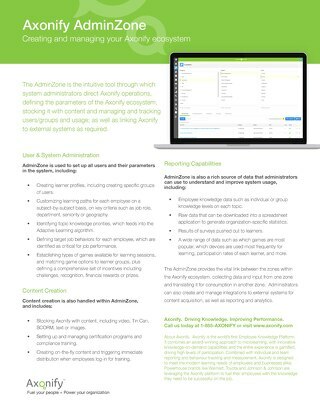 Get new employees into the operation faster, and keep them longer, with Axonify's onboarding solution. Axonify Services and Support allow you to stay focused on big picture business goals, because you’re not in this alone. 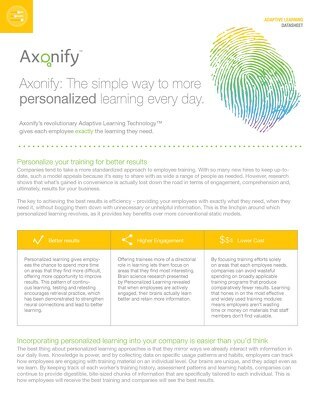 Find out how Axonify Learn™ gives your workforce an adaptive learning experience that changes behaviors and drives business performance. 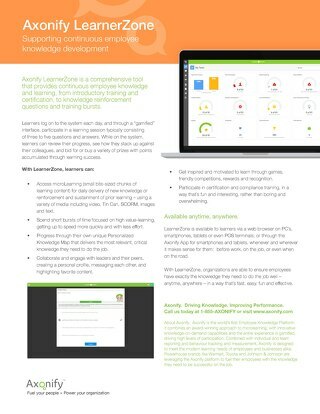 Learn more about Axonify Discover™, the Axonify Microlearning Platform's built-in performance support solution. Find out how Axonify Exchange™ fuels your training with an expansive content library built for the Axonify Microlearning Platform. 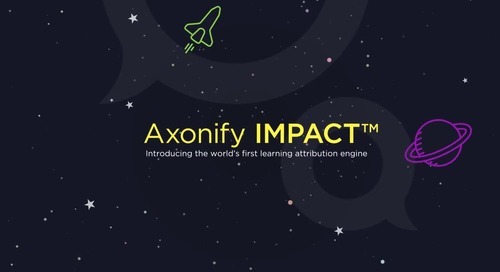 Learn more about Axonify Impact™, the world's first learning attribution engine that lets you measure and prove the business impact of training—at scale. 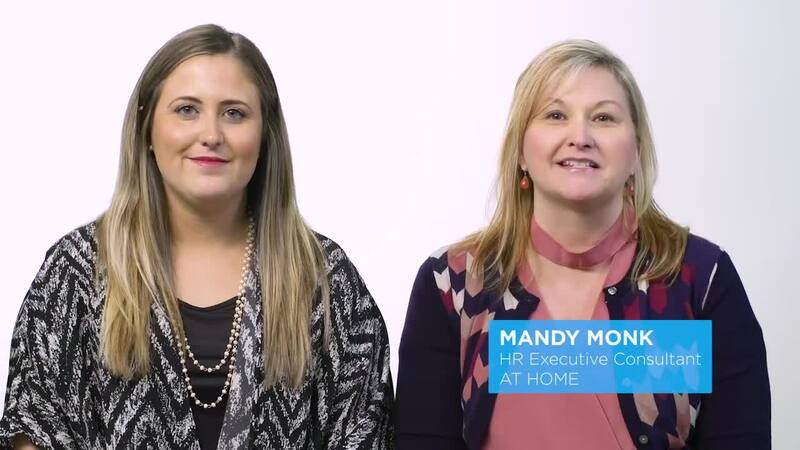 Find out how Axonify Guided Learning enables your organization to provide a tailored onboarding experience with an easy-to-follow path for each employee. 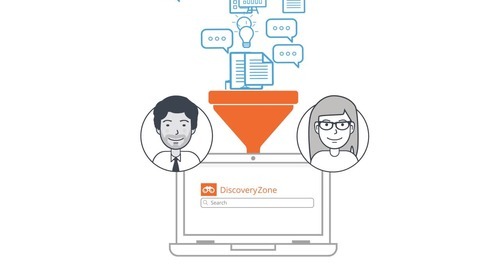 Axonify DiscoveryZone connects your people to the company resources they need, exactly when they need it, so they can solve problems and make smarter decisions, faster. 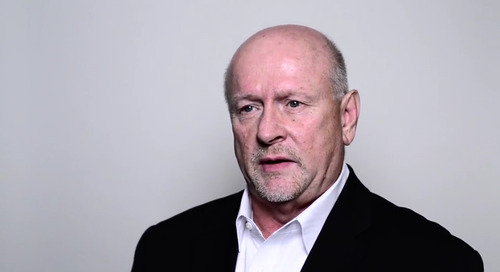 Hear what our customers have to say about the Content Exchange. The Axonify Exchange™ is a powerful library of video-based microlearning topics built to engage your workforce and drive results. 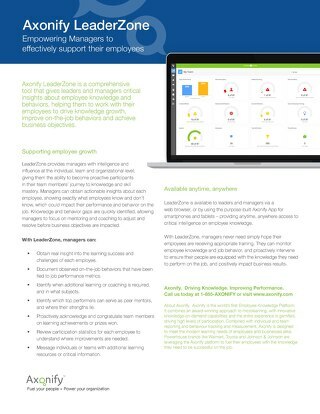 Discover the Axonify Employee Knowledge Platform and how to use it to boost knowledge growth, behavior change and bottom-line results. 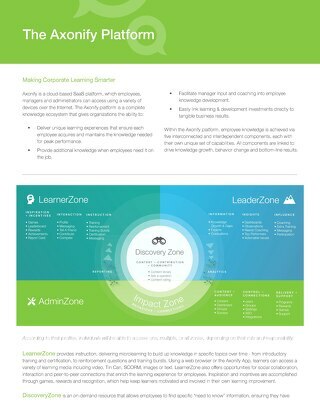 The LearnerZone is an award-winning microlearning solution that's proven to build up knowledge in specific topics over time. Supervisors and leaders now have access to intelligence and influence at the individual, team and organizational level. 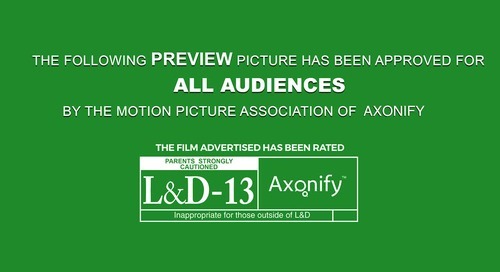 See how L&D professionals can define the parameters of the Axonify platform.